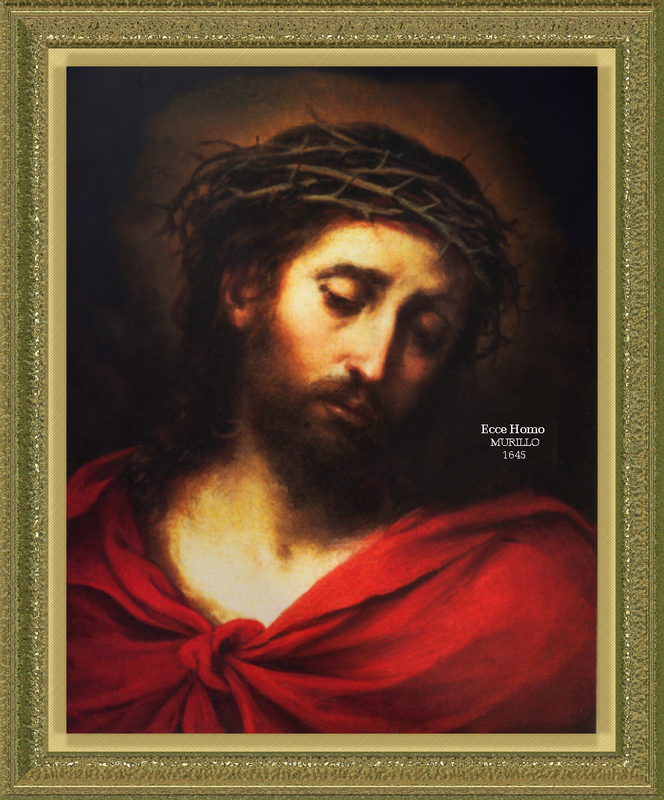 Welcome to Catholic Tradition's Holy Face Directory. Below you will find a list of all the pages within this index as well as a brief explanation about the Devotion to the Holy Face of Jesus Christ. A few of the prayers are also in the Holy Souls section, but we place them here as well so you may remain within this directory. This ancient and venerable Catholic practice is rooted in the representation of the face of Christ said to have been left on the towel or veil used by a holy woman thought to be named, Veronica. 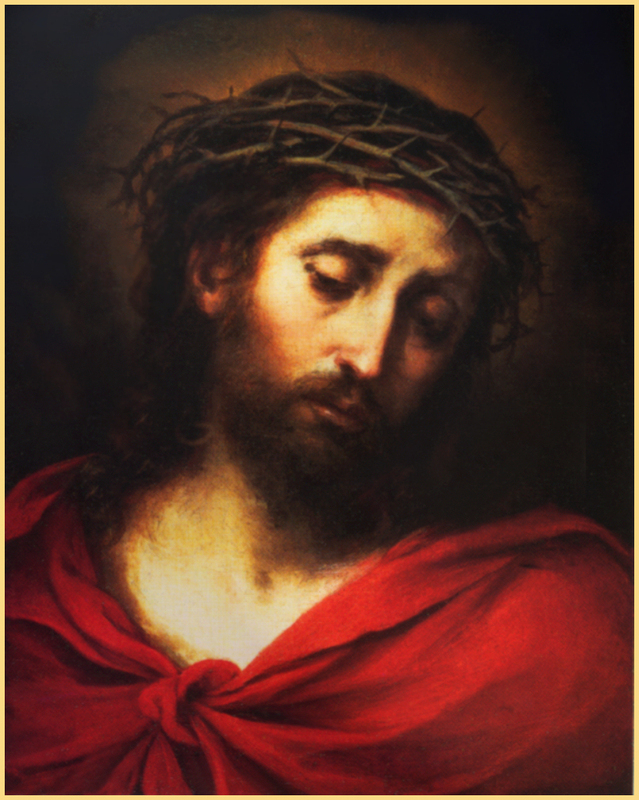 An Archconfraternity of the Holy Face was established in Tours, France, 1884; its members make reparation for the blasphemies hurled at Christ. Since St. Therese's devotion to the Holy Face has become known, this devotion has spread worldwide. In addition, a devout and pious nun, Sr. Pierina, who died in 1945, was given many visions through Our Blessed Lady who appeared to her, as did Our Lord Jesus. They urged her to make reparation for the many insults Jesus suffered in His Passion, such as to be slapped, spit upon and kissed by Judas, as well as now being dishonored in many ways in the Blessed Sacrament by neglect, sacrileges, and profanations. She was given a medal which on one side bore a replica of the Holy Shroud and the inscription: "Illumina, Domine, vultum tuum super nos." [O Lord, the light of Thy countenance shine upon us.] On the reverse side was a radiant host with the words: "Mane nobiscum, Domine." [Stay with us, O Lord.] After great difficulties, Sr. Pierina obtained permission to have the medal cast. Even the expenses for the casting were miraculously met when she found on her desk an envelope with the exact amount of the bill-----11,200 lire. The Evil Spirit showed his chagrin and rage at the medals by flinging them down and burning the pictures of the Sacred Face, and beating the nun savagely. In 1940, when the Second World War had the world in turmoil, Italy saw a wide distribution of the medal: soldiers, sailors and pilots were provided with the replica of the Holy Face since the medal was already famous for its miracles and countless spiritual and temporal favors. In Our Blessed Mother's own word, the medal is a weapon for defense, a shield for courage, a token of love and mercy and which her Divine Son wished to give the world in these troubled days of lust and hatred for God and His Church. Devilish snares have been set to rob the hearts of men of their faith while evil spreads the world over. Genuine apostles are few. A Divine remedy to all these evils will be the Adorable Face of her Son, Jesus. Whoever wears this medal and, if possible, pays a visit to the Blessed Sacrament on Tuesday in a spirit of reparation for the outrages received by the Holy Face of Our Blessed Savior during His Passion and those bestowed on Him every day in the Sacrament of His Divine Love, will be granted the gift of a strong Faith and the grace to fly to its defense, conquering if need be, all exterior and interior difficulties. Moreover, they are promised a happy death with special assistance of Christ Himself. The very first medal of the Holy Face was offered to our glorious Pontiff, Pius XII; then the whole world became acquainted with this special object of holy favors and devotion. No soldier taken as a prisoner of war, and who wore the medal was ever executed. Our Blessed Lord requested that a special feast be instituted to honor His Holy Face on Shrove Tuesday. Pope St. Pius XII obeyed and had this day set aside to honor the Holy Face in 1958. See also below for the internet.